Hibachi entertainment 7 days a week for both lunch and dinner. Private chefs available for parties of 8 or more with a semi-private dining room that accommodates up to 40 guests. For Hibachi reservations, please contact the restaurant directly. Online Reservations are for the main dining room. 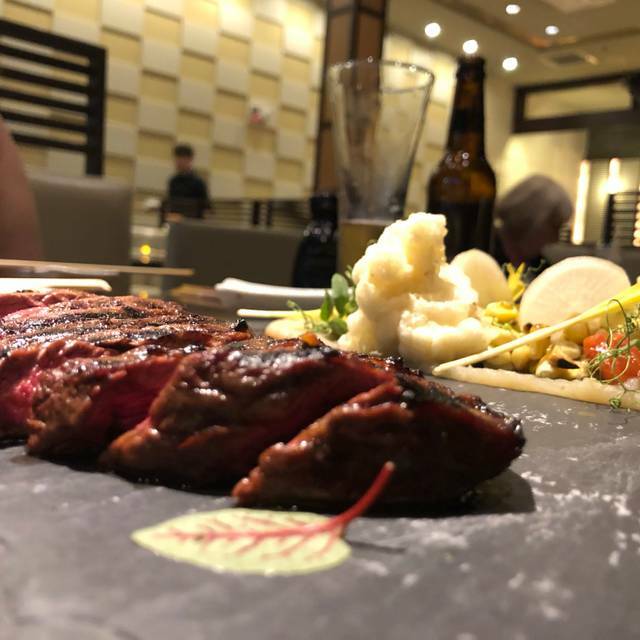 We take pride in standing apart from other restaurants in offering classical Japanese Cuisine presented in contemporary style with meticulous preparations & serving in very cordial and pleasant atmosphere. At our Hibachi location, one enjoy great preparations cooked right in front of our customers with entertainment at the same time by performing chef, ideal for kids & family as well as for birthdays & corporation parties. caramelized onion sauce, "hijiki" seaweed, pickles, baby "mizuna"
cucumber, pineapple, tomatoes, pine nuts, mint aioli, micro "shiso"
king crab, cucumber, albacore, avocado on top, creamy sesame sauce, "masago"
tuna, yelllowtail, salmon, crab, shrip, cucumber, avocado, "masago"
crab stick, avocado, cucumber, baked bay scallop, wasabi "panko"
spicy mayo, shrimp tempura, cucmber, avocado, "masago"
spicy mayo, soft shell crab, cucumber, avocado, "masago"
mixed greens, cucumber, avocado, "daikon" sprout, "gobo"
The variety of food makes.it possible for one of us to have very reasonably priced and delicious sushi while the other orders a well-made entree. We enjoy it and will definitely be back. My daughter and I really enjoy Kone and choose to go there whenever she visits. The food is always spot on and delicious. Amazing sushi & service, Tiffany is the best! Service was terrible server couldn't get simple soda order correct and never brought them to the table. Chef did little to no tricks. Food very bland. Mixed seafood and meats all together major health no no bad cross contamination for one customer allergic to meat. Over cooked lobster and shrimp. In the end never got one soda. Always great food and service. Friendly staff and check up on your party often. Great presentation of food and always delicious. My go to sushi/sashimi place. Celebrated 2 birthdays, wonderful time and great service personnel! Since moving to PA back in 2013, this has been my go to sushi place. Great atmosphere, always friendly staff and good food. I haven't tried the hibachi yet but it's always crowded. The sushi is fresh and tasty. 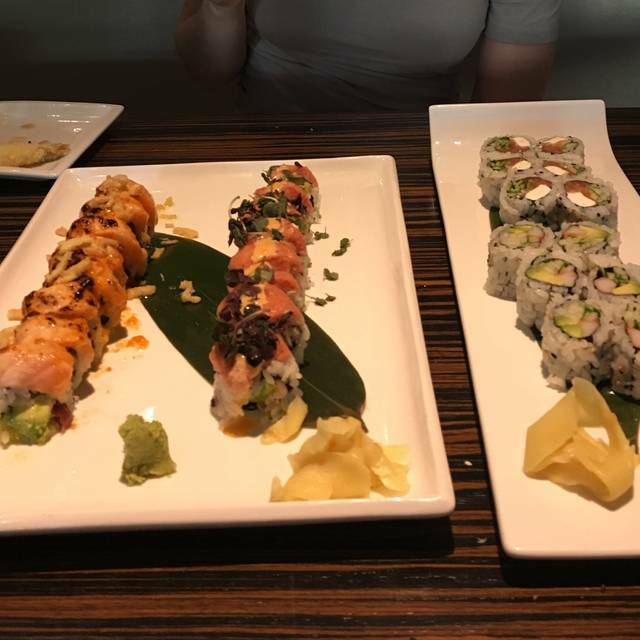 I normally get the sushi and sashimi but members of the family gets some of the various rolls on the menu and they are always good. I pretty much tried them all. The restaurant is very clean with a nice decor. Parking can be challenging as it's the promenade so reservations are a plus. It's a bit pricey but that doesn't deter me from coming back as it's worth it. Seated immediately. Good food. Good service. Prices are relatively reasonable. 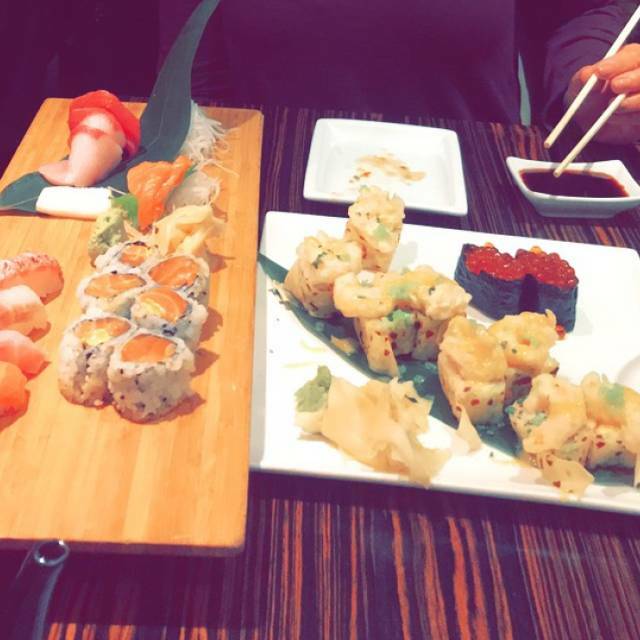 The sushi is always good. I made the mistake of ordering an entree on a busy night. It took 45 minutes to come out and was cold and dried out and just not very good. Very disappointing . I will stick to the sushi next time. The food is always 1st rate. Management is present throughout and assists the staff when needed. Excellent food and great drinks. The food is high quality and on the pricey side, as are drinks. Plan on about $45 a head, not including tip, if you have alcohol with dinner. Service is solid. Best sushi around. It's a large, open dining room so not very cozy, but sheek. An average dining experience. The food was very average and not delivered in an accurate or a timely manner. Requests for specifics were not met and the prices should reflect more attentiveness to detail. There are many other options for Japanese cuisine that are far superior to Kome. Good food. Slow service. Pretty inside, but acted like an upscale Red Robin. Loud. Kids. Drunk patrons. The good was great but exspensive . The people behind us were cursing and using foul language the whole time and I couldn't hear the person I was sitting with . I did make a reservation and wrote that we wanted to be sat at the hibachi table but when we arrived at 545 we were told there was no seats available . The waiter was amazing though ! A solid sushi place with great service. 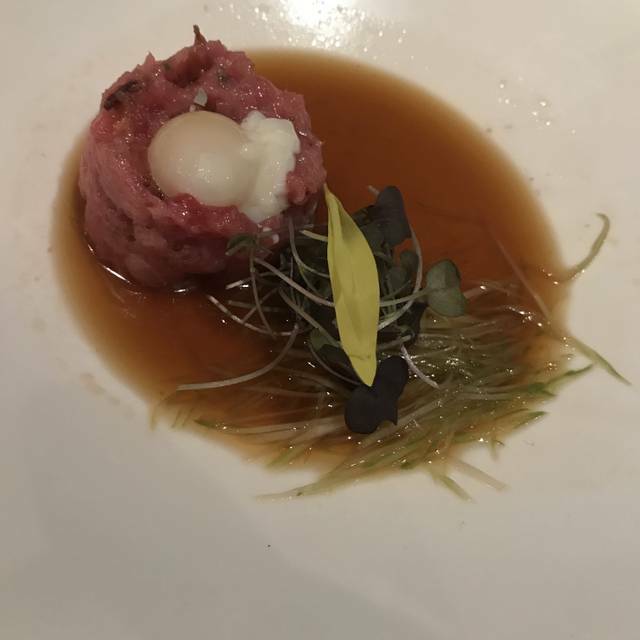 It’s not the best of the best but overall it tasted good and the service was excellent. A little on the pricey side but that’s kind of what one would expect from a place like this. Overall I would and will go again easily. Really like Kome. However, the one reason I did not give "service" five stars was that for the second visit in a row, it took 15 minutes or more to have simple deserts delivered to the table. The food is innovative and excellent. My seared tuna came with a foam that was incredibly tasty --- quite a surprise. I also had the portabello salad, which was excellent. My date's order was what she nearly always orders, sous vide salmon and an asian pear salad. Service was a little slow, but the place was pretty busy. The noise level was over the top. We couldn't really talk across the table. That was somewhat annoying. The service was so bad as our waitress horrible. Did not pay much attention to check on us as we waited 40 minutes for appetizers. We order everything at once. Spicy seafood soup,tempura shrimp and veggies and a salad. We were waiting so long that the bus boy asked us if we were done with the bowls for the soup. I informed him that nothing has come out. I complained to the waitress and all she came put with was the salad that probably been sitting there for a while. As more people came into the restaurant it seem as if she paid more attention to them and they were getting there food faster. After we finally were serve the rest of the appetizers. We still had to sit around and wait over 30 minutes for the rolls we ordered. This was the worse service I have experienced in a very long time. Never going back there. Amazing food as usual and the service is always friendly and on point. Return over and over. Blame it on the weather. The décor and atmosphere is energetic and chic. Despite the large crowd, our table in the middle of the dining room was intimate. Our waiter was extremely knowledgeable of the menu and helped us navigate through the sushi options, which was our primary focus for our dinner. He suggested a tuna sashimi plate that was not on the menu but exactly what we were looking for. 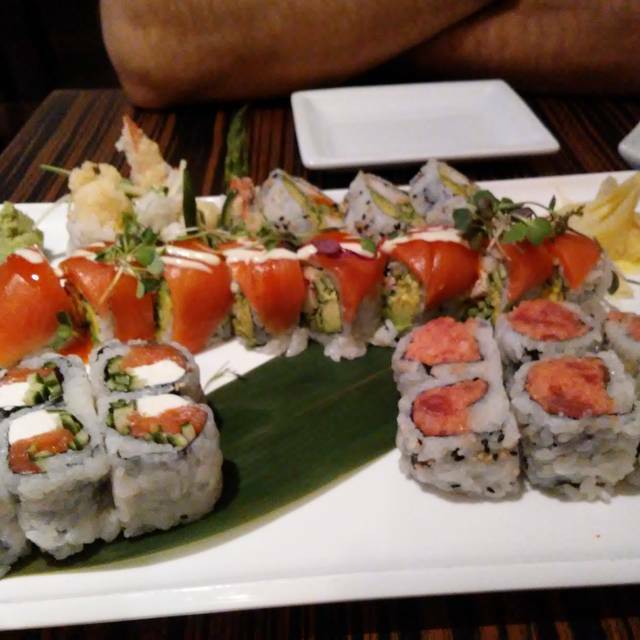 The food was outstanding; every roll, appetizer, and bite fantastic, not a single misstep in anything. The sushi chefs were all extremely busy, yet every dish came out looking as if it were the only plate being prepared; the presentations were well done but not over the top so as to take away from the centerpiece of food presented. 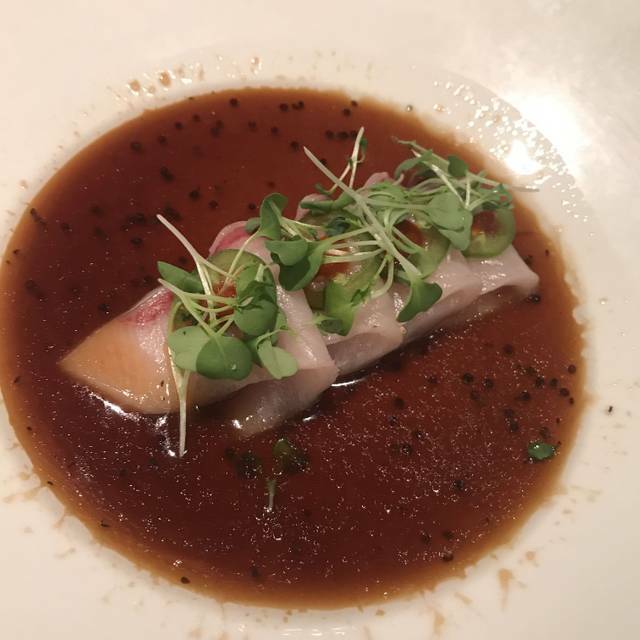 This restaurant is a step above nearly every other restaurant in town, and worth it. We hope to go back often. It was good, but we had to wait for about 20 mins even though we had a reservation. It was also very loud, so it was difficult to have a conversation. The tables for 2 were situated very close to one another, so I think that made it harder to talk because you could help over hearing your neighbors’ conversations. Amazing food and service. A bit loud, and the kitchen was slow this time due to how busy it was - but our waiter, Louis, was sweet and accommodating. The food was gorgeous and delicious - worth the wait! Great food and staff! Would definitely go back soon! 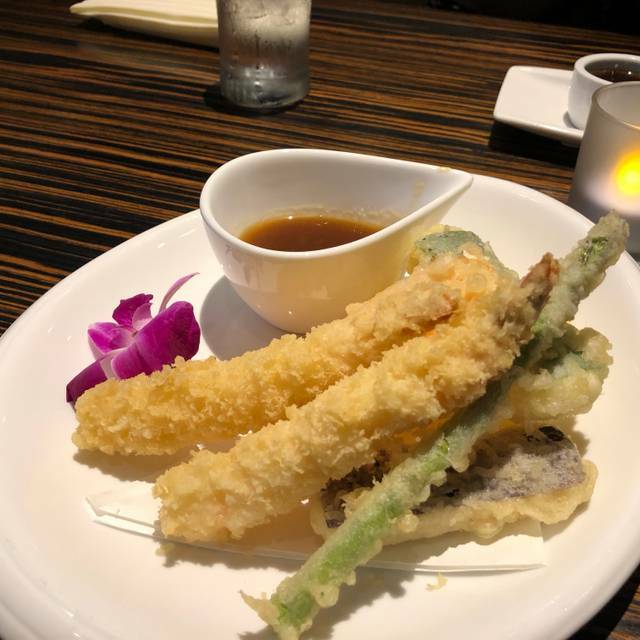 Kome is my favorite restaurants in the Lehigh Valley. 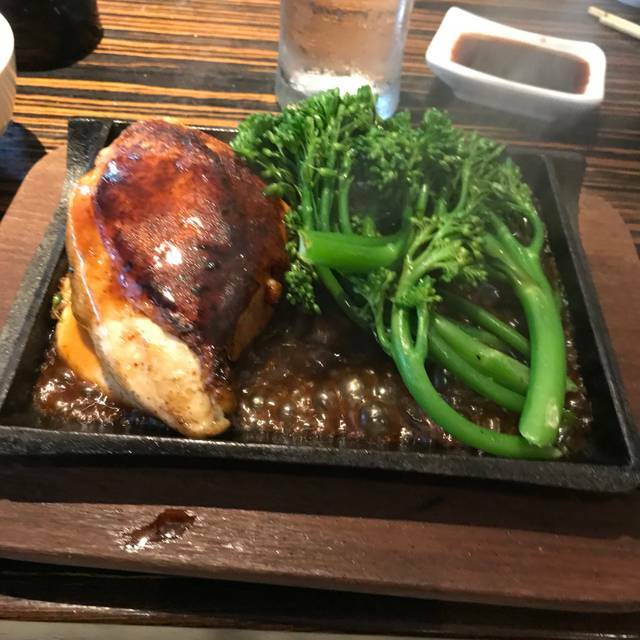 It’s very well managed, service is always attentive and friendly, and the food is different than any other place I’ve been, with lots of excellent choices on the menu - each one of which is wonderfully flavorful, skillfully prepared and artfully presented. It’s not inexpensive, but it is a good value. Due to an accident, we arrived at 6:00 and the bartender would not honor the happy hour specials since they ended at 6 even though we told him there was an accident on the way. Also I made reservations on open table but received a call from the restaurant saying I had to call back to confirm. The point of on line reservations is to save time, not have to call the restaurant. Disappointing. 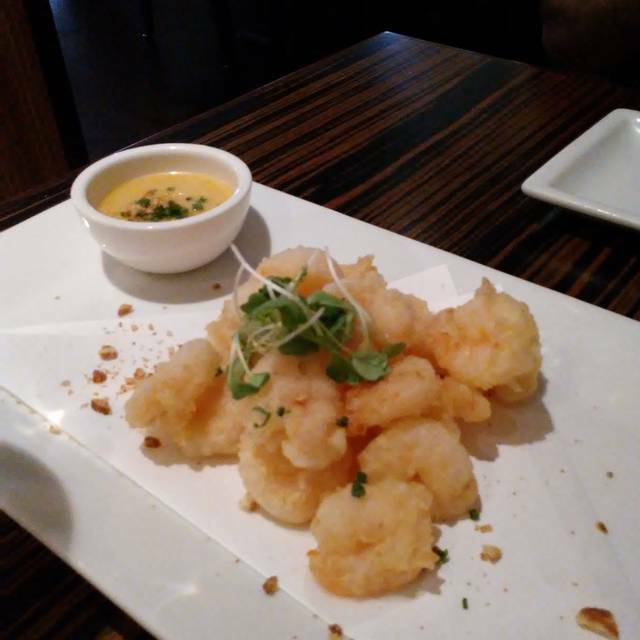 Chef only got about 2 tries out of 10 into someone's mouth and most places use shrimp (here it was baby corn). The lobster tail was over-cooked and tough. Kome roll was pretty good and a good size. Overall though, for this much $$ the quality and portions were lacking. And they rushed us through the meal constantly trying to take plates away before we were done and offering to "pack everything up" while we were still eating. We go there quite a bit. Food is always wonderful. We love sushi and sashimi. Best sushi in the Lehigh Valley if not further. Excellent server! Everything tasted fresh and was delicious.